Intech Services is a Partner of TCI Powder Coatings. Business Name: Intech Services, Inc.
Products: Intech Services is the exclusive source of DuPont™ Teflon® industrial coatings in the United States and Canada. Intech also partners with top-of-the-line vendors such as Precision Quincy for industrial ovens, Mighty Hook for hooks and racking, and TCI Powder Coatings for TruPak, small quantities of powder coatings. Additionally, the CoaterONE industrial e-marketplace includes products specific to the coating industry such as high temperature masking products, gloves, hooks and racks, safety equipment, spray gun equipment, and quality assurance tools. Solutions: For suppliers and end users, Intech is a one-stop shop for all industrial coating needs coupled with industry expertise second to none. For business partners, Intech provides the resources, support, systems, manpower, and training for marketing and sales strategies that promote the growth of your business. Intech has been a partner in the industrial coating world for over twenty years. In that time, the company has innovated both itself and the market by evolving into a company with a unique focus. By providing customizable sales and marketing systems, resources, and services to the industrial coating marketplace, Intech combines expertise in the field with skilled, personable employees offering the art and science of successful business strategies that gives your company an exclusive competitive advantage. When partnering with Intech, expect a long-term, sustainable alliance that is built on mutual trust, transparency, and exclusivity. Intech’s high standards mean that we do not connect lightly. When you invest in us, we invest in you. We want to be associated with the best because that’s our standard. Intech’s commitment to transparency and exclusivity allows us to build a genuine connection with our partners that fosters opportunities for us to advocate, problem solve, and ultimately deliver more. As we continue to build upon and grow our field technical service group, I am pleased to announce that Andrew Brenner has joined TCI’s field technical support team. Andrew joined TCI 2 years ago and has been closely working with Sheldon Holloway’s group in Ellaville for the past year. Andrew will be providing technical support in Michigan, Northern Indiana, and the Chicagoland area as well as supporting other areas as needed. Andrew will be based out of the Holland, MI area to help support and grow our business in this region. Please join me in welcoming Andrew to the field support team. 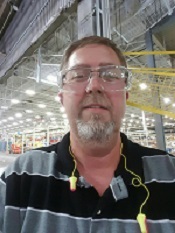 As we continue to grow our field technical service group, I am pleased to announce that, as of May 4th, Dave Swartz joined TCI as the newest member of our support team. Dave brings to TCI an extension background on powder application and equipment. His experience includes working in the Gema lab for 11 years as well as an ITW distributor (AIC) thereafter. Dave will be based out of the Indianapolis area to help support and grow our business. Please join me in welcoming Dave to TCI and offer your support. The method chosen to apply powder coatings varies depending upon the specific part, process, and specifications. There are a number of methods available for applying powder coatings. Powder coating application methods range from simple dipping into a fluidized bed of the powder to a more complex electrostatic spray process. Each process has advantages for specific applications. Other various methods including flocking, electrostatic disc, flame spray etc. For more information on powder coating methods, please see or download our powder coating technical guide on our website. Look for upcoming blogs with specifics on the various application methods. In its simplest form, a fluidized bed powder coating consists of dipping a hot part into a bed of powder.This process allows the powder to melt on the part and build a film, creating a continuous coating. The fluidized bed process is typically used to achieve a coating between 10 – 15 mils DFT with the final thickness dependent upon part temperature and dip time in the powder. 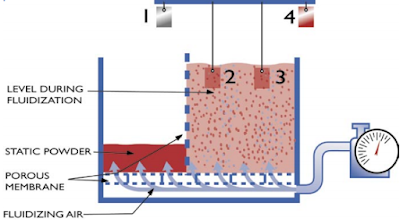 However, coatings as high as 100 mils can be applied using multiple heating and dipping cycles. The fluidized bed process requires part pre-heat temperatures of at least 350°F and may require a post-heat or cure cycle. For more information on fluidized bed or other powder coating methods, please see or download our powder coating technical guide on our website. 11000 Series Highest Exterior Performance Organic Systems, or TruDurance, offers superior exterior performance and is mainly used for architectural applications. This series is formulated to provide exceptional durability and performance in aggressive indoor and outdoor environments. The entire 11000 Series meets AAMA 2605 requirements, and is available in a wide range of colors, including metallics. A TCI technical representative must audit each application system to ensure products will meet the 2605 specification. Applications for 11000 Series powder coatings include curtain wall systems, architectural accents, railing systems, windows, louvers, and store fronts. With powder coatings, you can achieve a variety of appearances, including appearances that contain effect pigments, usually metallic and micas, with our TruBond coatings. Our TruBond powder coatings “bond” the metallic and powder particles together, creating a product that provides sharper aesthetic properties, significantly improved application characteristics, and good reclaim properties. Ideal applications include indoor and outdoor furniture, fitness equipment, wheels, lighting fixtures, display racks, shelving units, hospital furniture, and car components. Click here for more information on TruBond Products. Look for upcoming blogs on our other available TruProducts. Click here to see our posts on TruIllusion, TruAnodize, and TruHammer. TruWrinkle, and TruDurance. Powder coating in the furniture industry is witnessing high growth. With today’s furniture being influenced by trends, color, and performance, powder coatings are the perfect choice due to their excellent surface protection and diverse decorative capabilities. TCI’s powder coatings combine aesthetics and performance for both interior and exterior use. We offer an extensive selection of textured, metallic, multi-color, and low cure colors for powder coating furniture, including store fixtures, office and contract furniture, and garden pieces. Our UV resistant, extremely durable powder coating powders are especially well-suited for outdoor furniture applications, when you want an attractive finish but require a high level of durability to provide maximum protection from the natural wear and tear encountered in an outdoor environment. Contact us today to speak with our experienced team about how we can help you with your furniture powder coating needs.